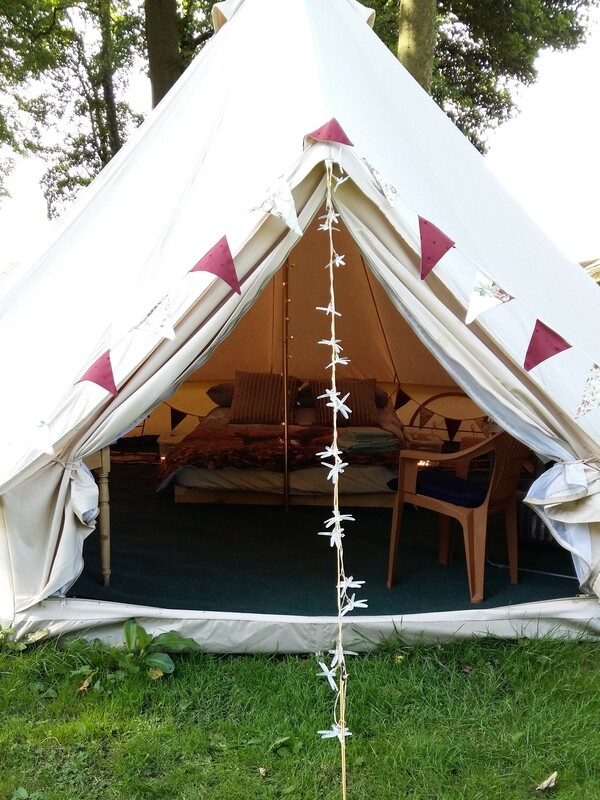 Camp in luxury in one of our glamping bell tents. 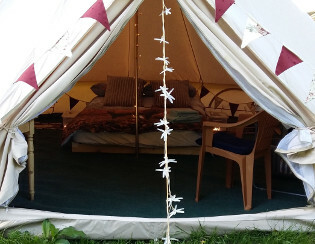 Tents are 5 metre diameter, so there is plenty of space. 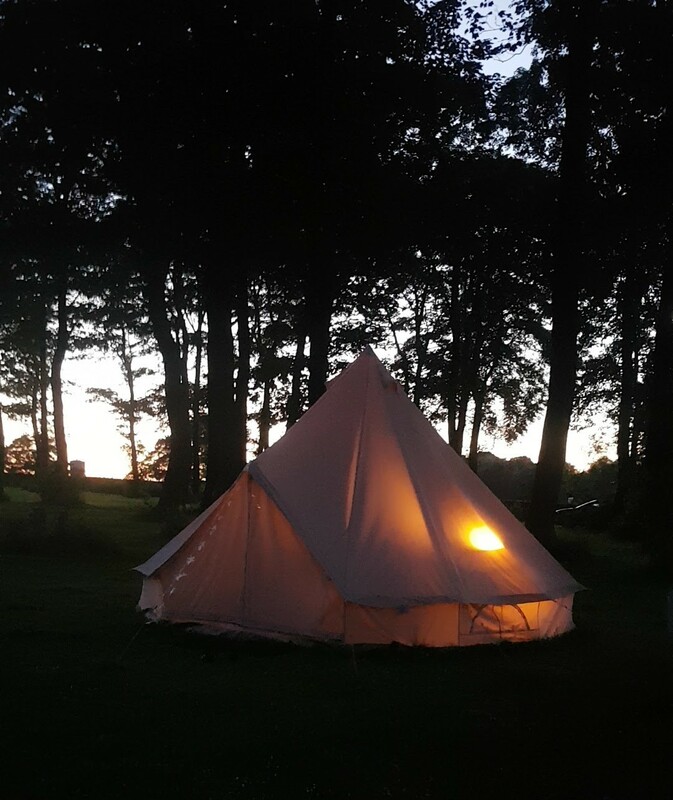 - 5 metre bell tent set up and waiting for you. - A comfortable real double bed (with pillows, sheet, duvet and blankets). - 2 chairs and a table. - 1 ring electric hob with a 3-tier stacking pans. - All the cutlery, plates, cups you will need. - Towels and all bedding. 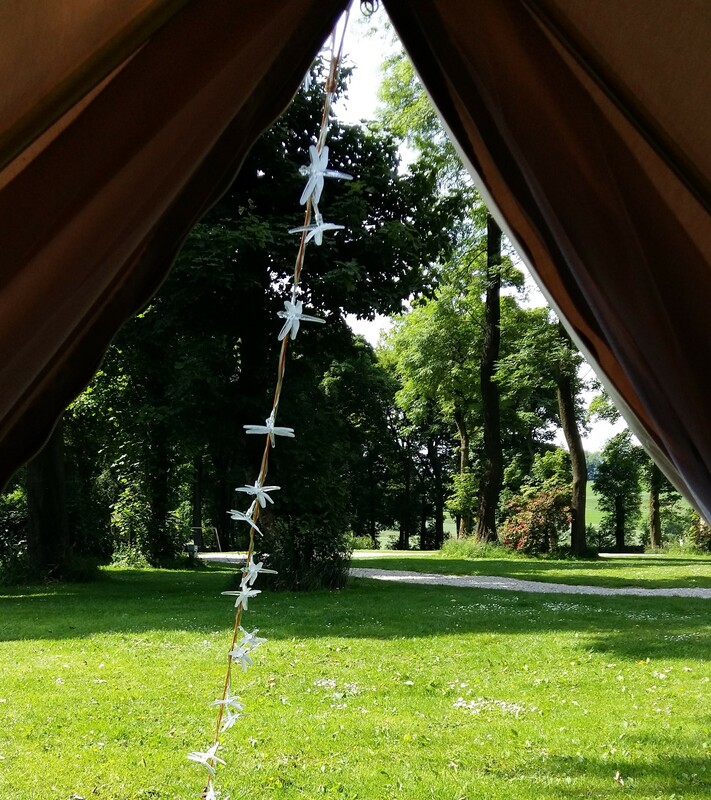 - Children’s beds can be added – we use campbeds with sleeping bags. - A picnic bench and BBQ stand (suitable for disposable BBQs) or BBQ. 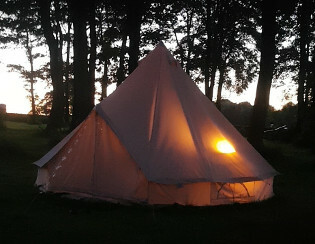 - Electricity is supplied to your tent at 8 amps. All you need to bring is your personal items and clothes. 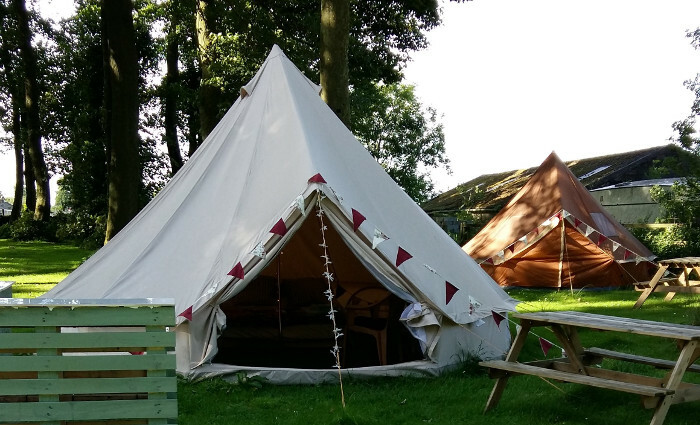 We have heated toilet and shower block facilities. Please be aware that the showers are coin operated (£1.00 gives 6 minutes use or 20p gives 1 minute). You are advised to bring a torch as it can get very dark on the campsite at night. 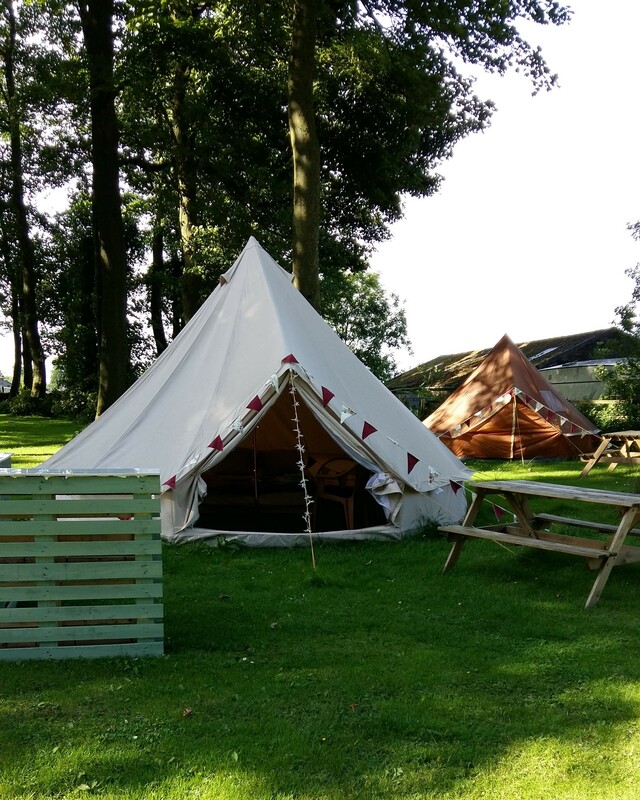 To check availability and to book a pitch please call us on 01298 70404 or send us an email at info@stadengrange.co.uk.